In today’s digital age new technology is being developed and released every day, many of which have ramifications in existing industries. Cryptocurrency is one of these new technologies that is changing the face of business as we know it. Bitcoin ATMS have become increasingly popular among traders. It is a revolutionary concept which has created buzz among many in the financial world. The word ‘Cryptocurrency’ is used often nowadays to describe the new financial system; ‘crypto’ means something hidden and ‘currency’ is the medium of exchange. Cryptocurrencies are basically a new form of currency which is used in the blockchain. A special encryption technique is used to control the creation as well as verification of currencies transacted. In present-day time there are plenty of cryptocurrencies in circulation but Bitcoin, the largest of the currencies, can easily be traded. It is very easy to buy Bitcoin online. Cryptocurrency is the name given to these encryption-based exchanges that have continually gained traction. With this new currency system, identities of those involved in transactions are usually anonymous. What’s more interesting about this new currency system is that there is not centralized authority or entity governing the trading of cryptocurrencies. The whole digital currency system is designed in such a manner that miners have the right to make necessary changes by confirming initiated transactions through the use of advanced mathematics and algorithms. In return, miners are paid incentives in the form of digital currencies. Cryptocurrencies have gained huge popularity in the last couple of years and it’s all because of its unique theory. Forgery of cryptocurrency is next to impossible as the whole system is based on cryptographic puzzles and advanced math. Once these transactions are completed, they are unchangeable making them a secure form of transferring funds. Each transaction becomes part of the database or the blockchain system and it can’t be reversed. Bitcoin ATMs are now being recognized as a preferred mode of payment by top companies around the world. 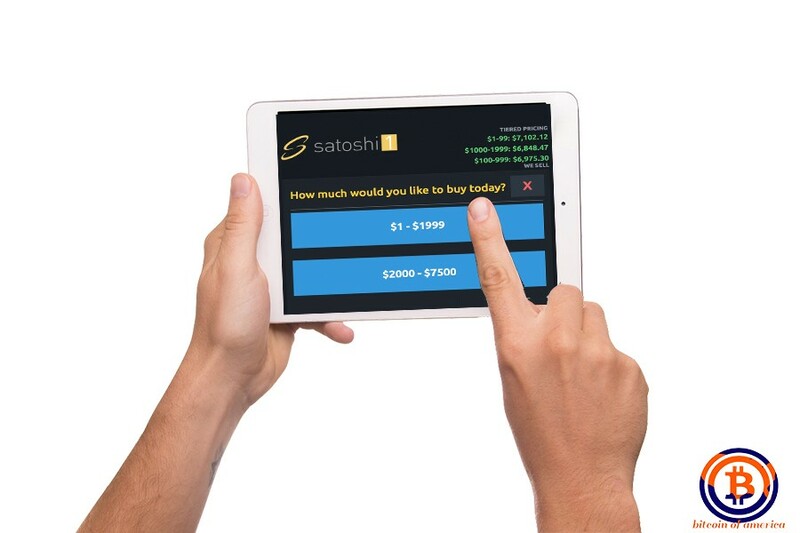 However, some companies are introducing tablets that have the same features as a Bitcoin ATM. Cryptocurrencies are in short digital currencies which are designed with codes. This new currency system is based on peer to peer control system; everyone can be benefitted by trading it in the market. Here are some of the reasons why you should trade Bitcoinor buy Bitcoin online. · Digital currencies can’t be forged or reversed, a feature which gives crypto an edge over traditional currencies. Once transactions are confirmed no one can reverse it, making each transaction secure for both parties. · All cryptocurrency transactions take place online giving users the opportunity to sit anywhere in the globe and exchange. What’s more is the speed at which transactions are processed. When it is compared to traditional bank transactions involving third parties, users who buy bitcoin online is much faster and cost-efficient. The payment system is not only speedy, but filled with many prospects of ROI due to the increased activity in the market. · All transaction fees or charges are low per transaction relative to traditional investments. For any of these transactions, you need to pay a negligible to no fees, as the network removes the need for middlemen. · Cryptocurrency concept is unique which can be accessed by millions around the world simple requiring access to laptops or smartphones. Using genuine online trading platforms like Bitcoin of America you can trade anytime, anywhere. Many countries have already started implementing digital currencies and with time its use will grow immensely. Apart from the benefits mentioned above, there are many other reasons to begin your investment in cryptocurrencies. As the technology continues to advance and the number of users exchanging grows, there is no better time than now to start building your cryptocurrency investment portfolio. Bitcoin: Is It Too Hyped Up?